Did today's post title catch your eye? 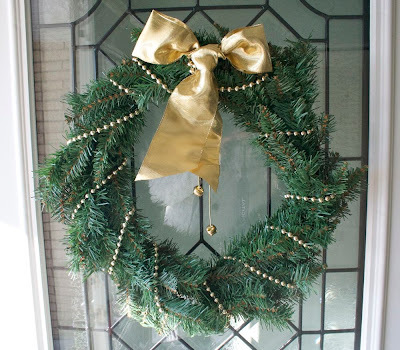 I thought I'd be pretty blunt about my ridiculously simple and frugal holiday decor this year. While a lot of other blogs are going wild with loads of carefully crafted projects, I'm keeping it real over here with some seriously simple & thrifty ideas for those of us without much time or spare cash. 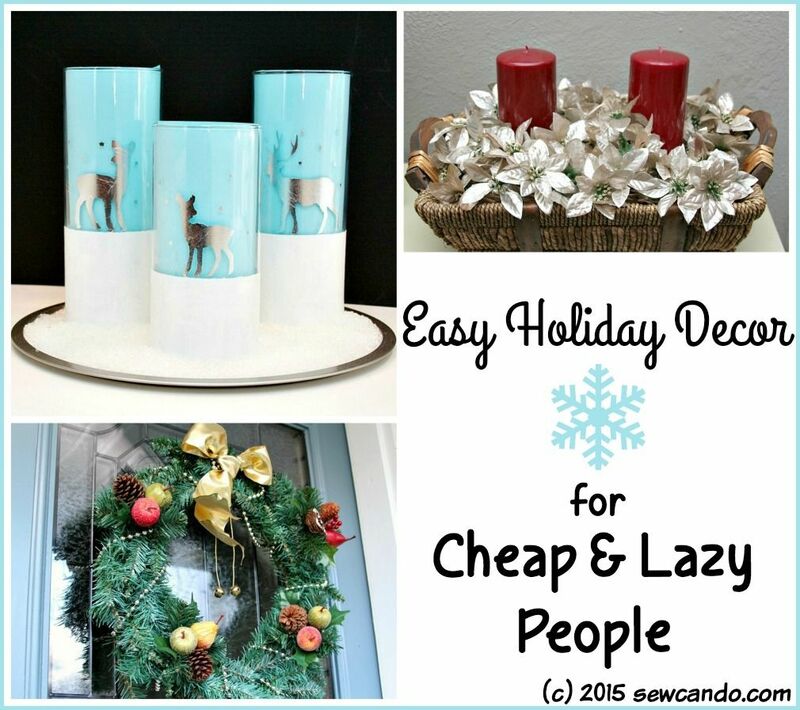 My holiday decor "projects" this year are easy, cheap and look pretty good. Isn't that what we want for the holidays, instead of stressing out about getting it all done up? 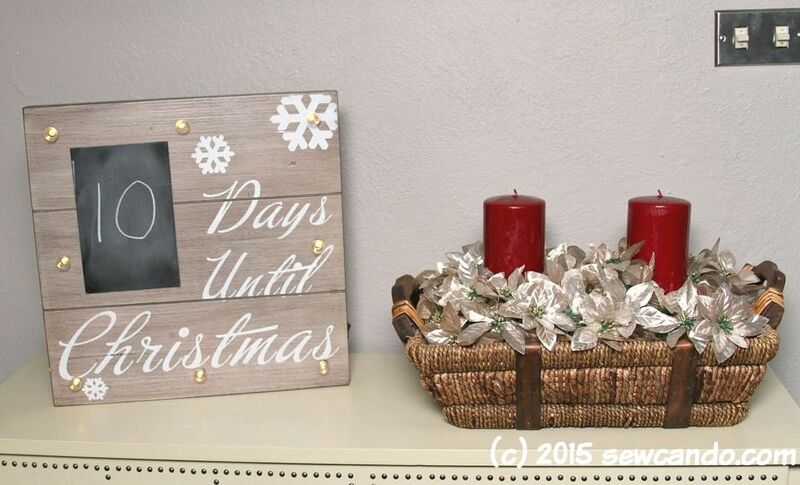 I know I'd rather focus on the bigger things this season instead of getting OCD about my decorations. I needed a little something to add to our powder room, foyer and front doors, but didn't want to spend much time or money, so I cobbled together a few little displays using stuff I already had. All the supplies are super cheap, so even if you have to go out and get them, they're still easy on the budget. Don't have the time? The budget? The inclination to bother? 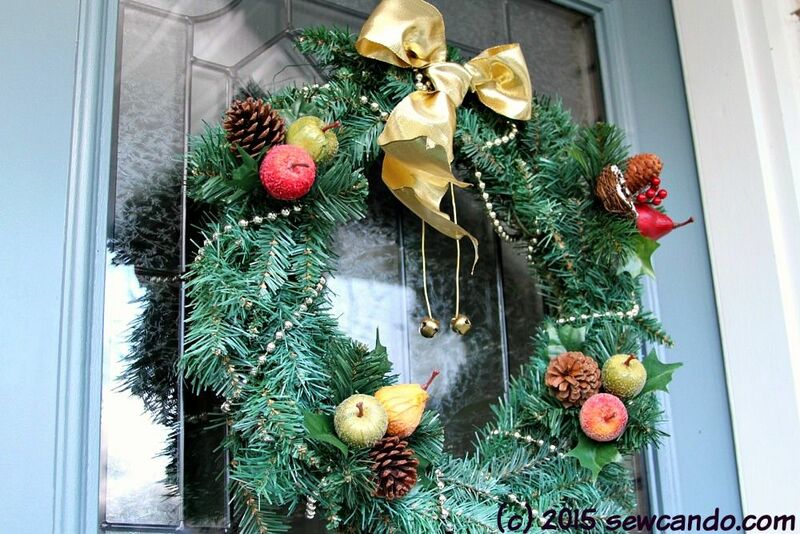 Then try some of these easy holiday decor ideas! 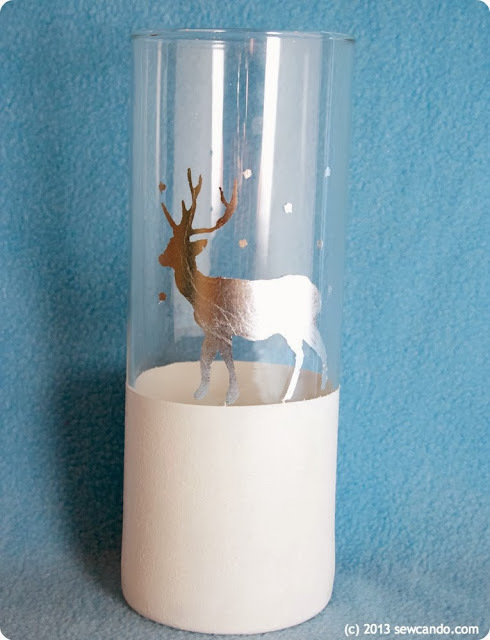 Then simply use stickers for the decorative elements instead of gilding. Reindeer, snowflakes, snowmen, whatever seasonal look you want and super quick. 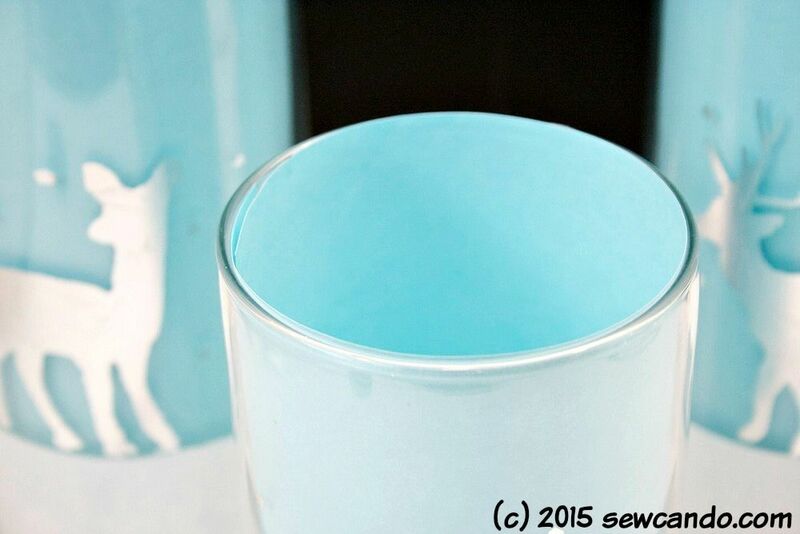 For the blue background interior of each vase, I just rolled up some colored paper and stuck it inside. You could even add electronic candles to give it a nice glow - I attempted to, but all I had in the house were some small flickering tea lights and they were too short to notice much. 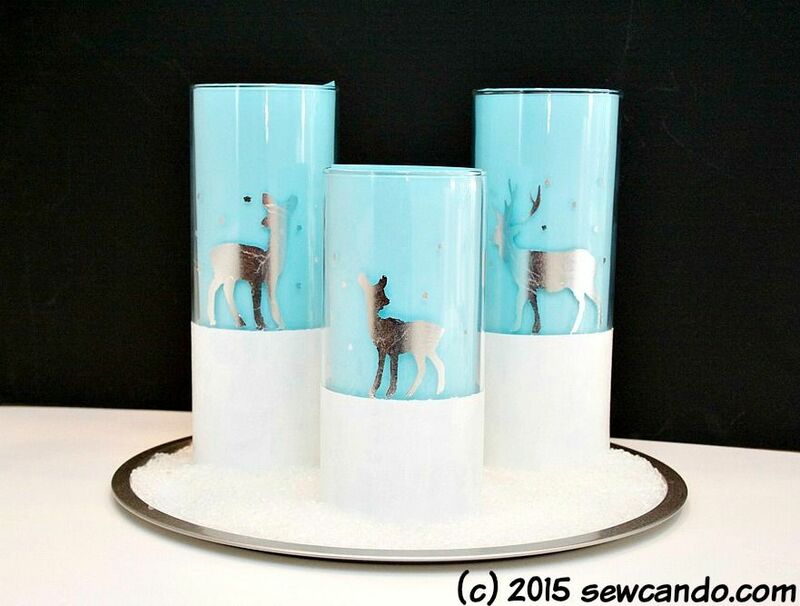 After the holidays, I'll pick up a few of those taller candles on clearance to use next year. 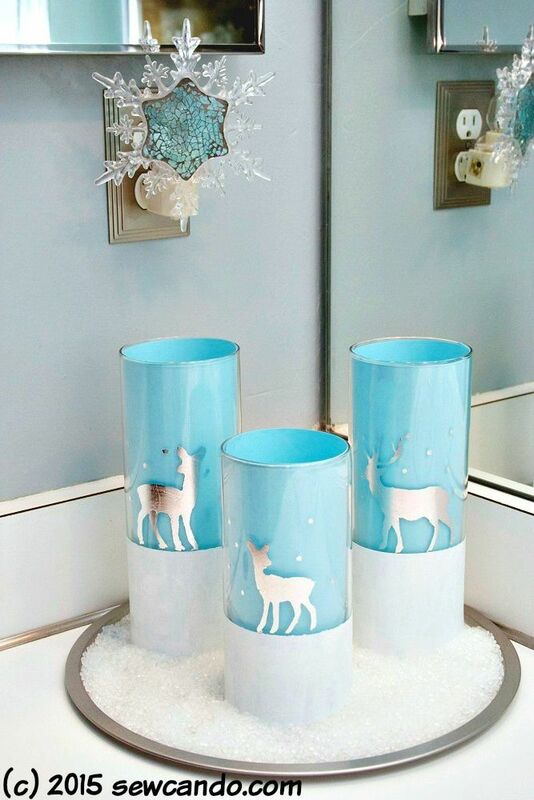 I put my vases on the dollar store pizza tray and added the snowy detail. 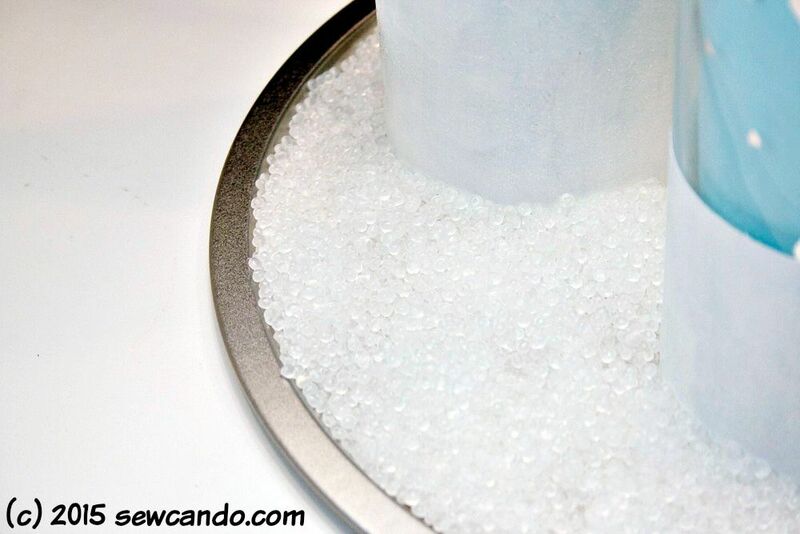 I just poured some plastic pellet beads around the vases and spread 'em around. That's it. It literally took minutes. It looks so nice & festive - in person it looks 10 times better than I can even show in photos. 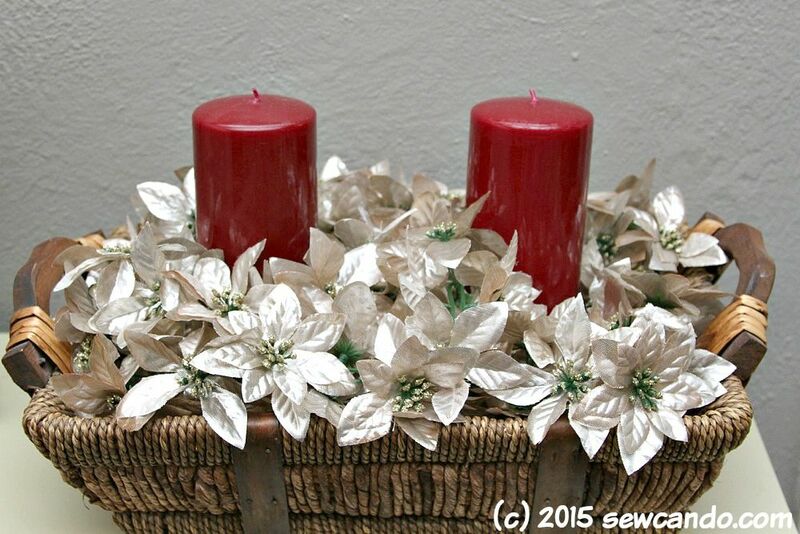 I took the basket where I usually toss my purse and keys, stuck 2 dollar store candles in it and surrounded them with a silver floral garland strand I'd bought years ago. This literally took 2 minutes to put together. Voilà. Instant arrangement! 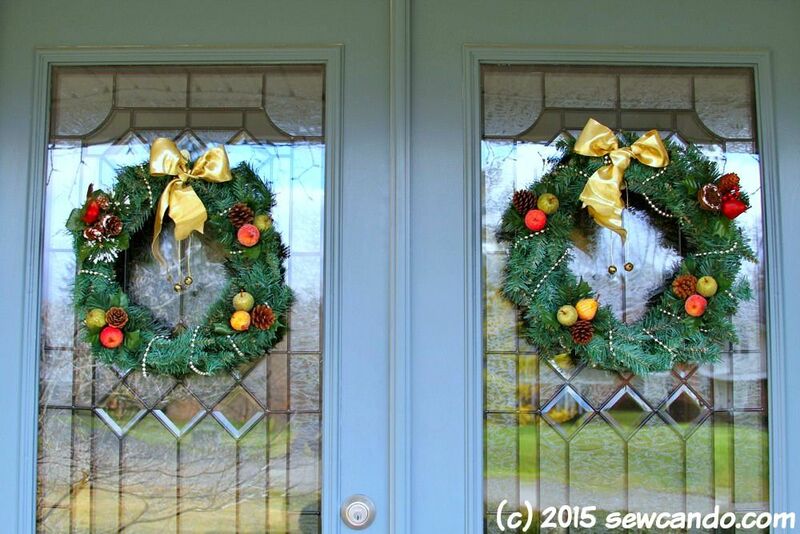 My front door wreaths were some cheapy $9.99 faux pine I'd bought from the craft store and decorated with some inexpensive bead strands & gold ribbon eons ago. I'd used them year after year, but they were looking a bit sad and worn out after several severe winters. All I did was get a few of those little decorative picks for 99 cents at the craft store, stick 'em in and boom! Instant refreshment. It's ironic how I've had years where I spent hours crafting up loads of decorations, knick-knacks and holiday themed stuff, but I'm oddly happier with the finished looks of these, which were totally minimal effort. 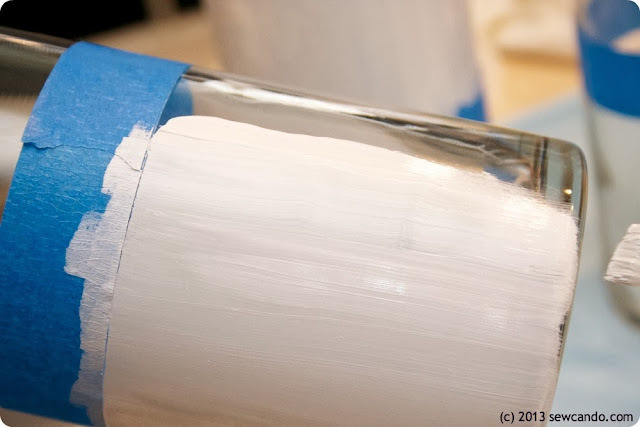 Truthfully, I don't think anyone else even notices the difference between the 5 minute and 5 hour crafts, so I may stick to this "keeping it easy" style. How about you, do you feel like you need to go into craft overdrive for the season or just take a break too? Those are amazing! Thank you for sharing. I am raising 3 grands and while 2 sports are ending, next week another begins and the holiday decor is being pushed aside! I love the candles and heading to the dollar store and Michael's this morning!